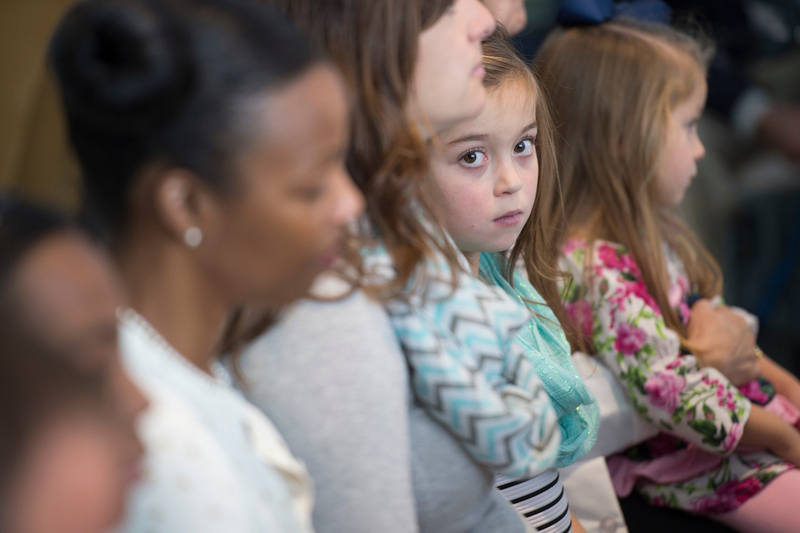 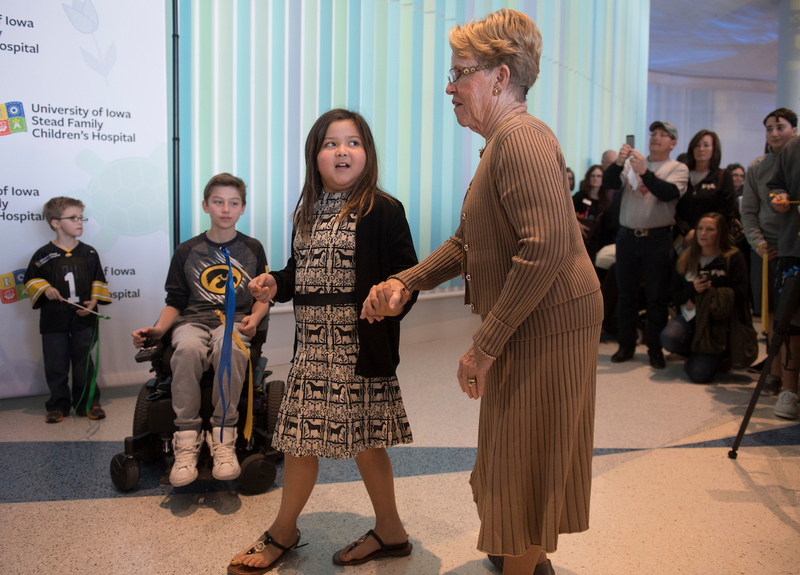 Jerre Stead receives another hug from a child during the Nov. 11 dedication ceremony for the University of Iowa Stead Family Children’s Hospital. 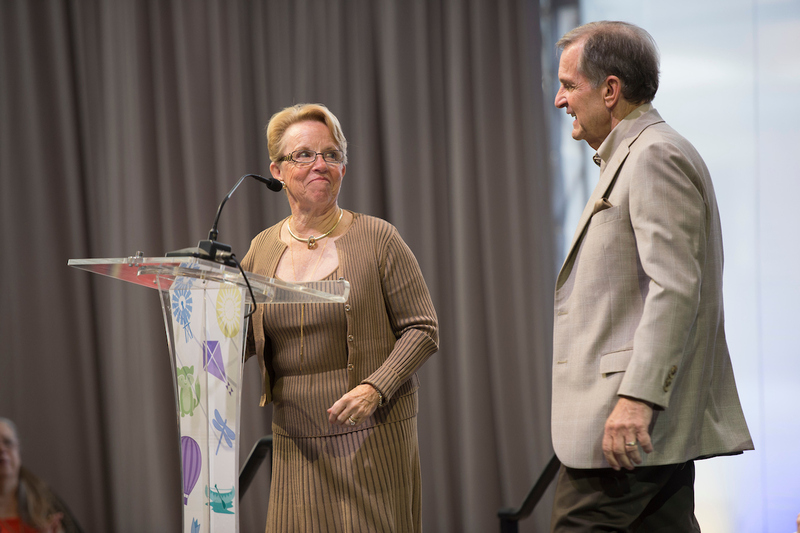 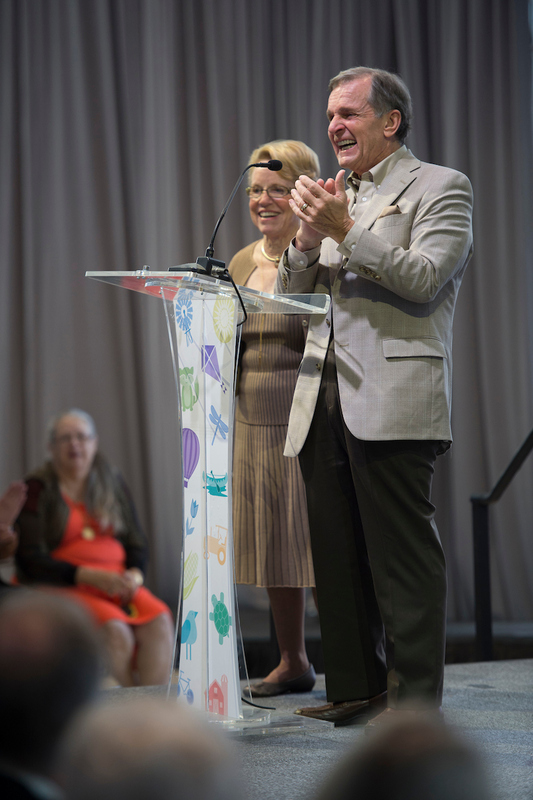 Jerre and Mary Joy Stead committed $25 million to children’s medicine at the UI. 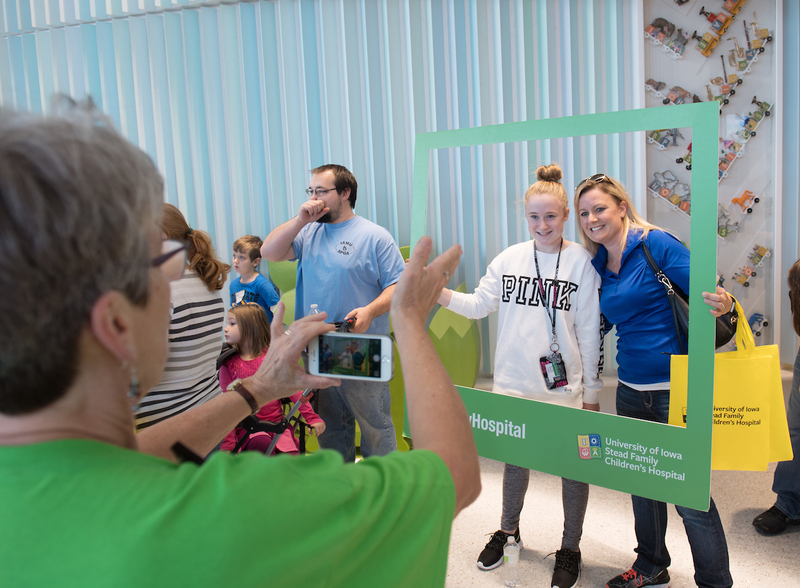 Click the thumbnail images below to see scenes from the dedication event and moments from two open houses held at the hospital Nov. 5 and 6. 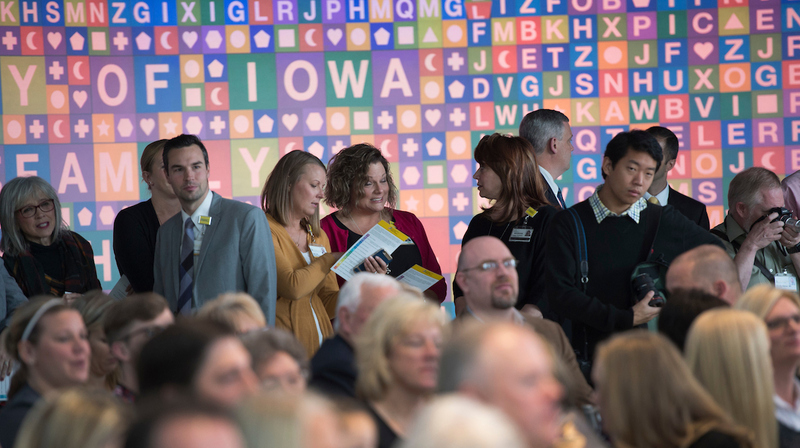 Photo by Tim Schoon. 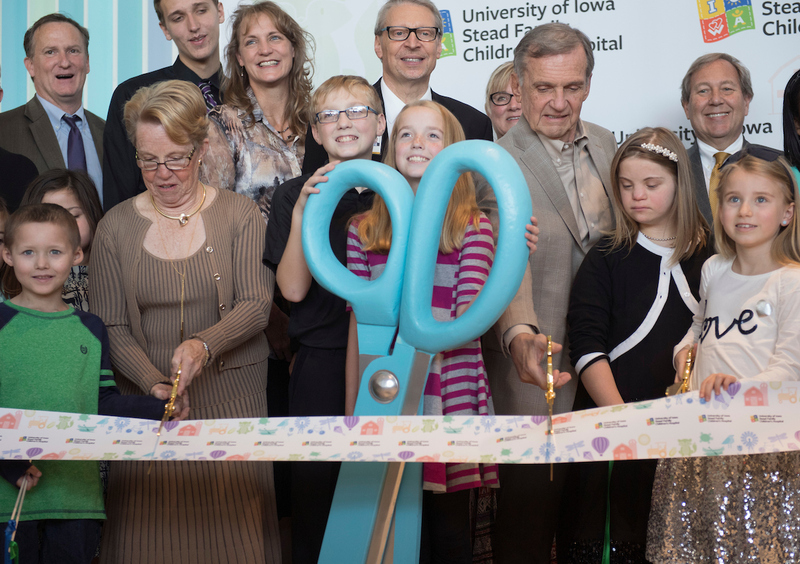 The 14-story, 507,000-square-foot hospital, which is scheduled to open Dec. 10, will offer private rooms for all patients, eight pediatric operating rooms, and a pediatric pharmacy. 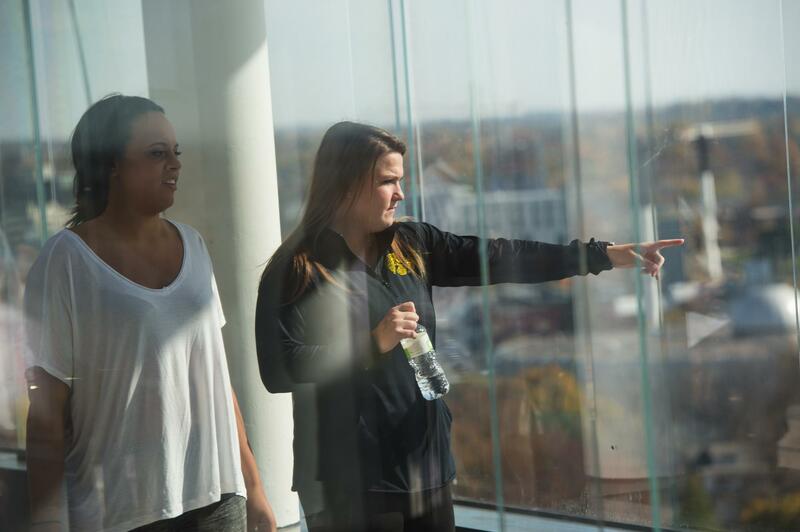 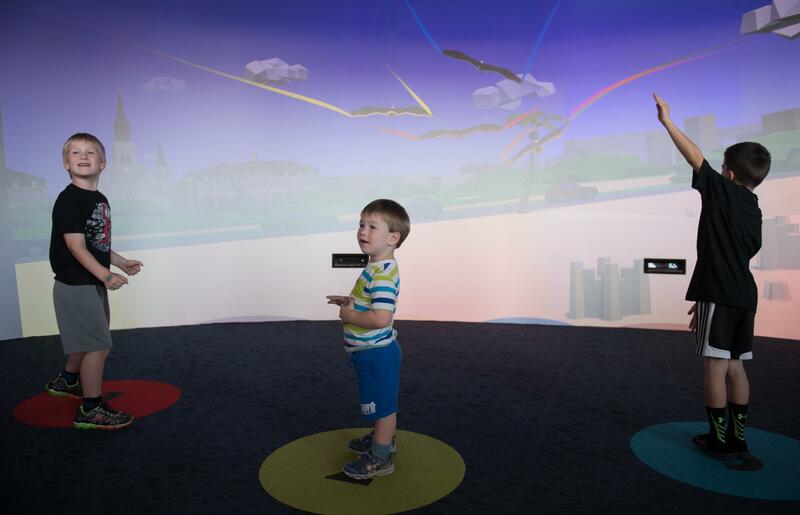 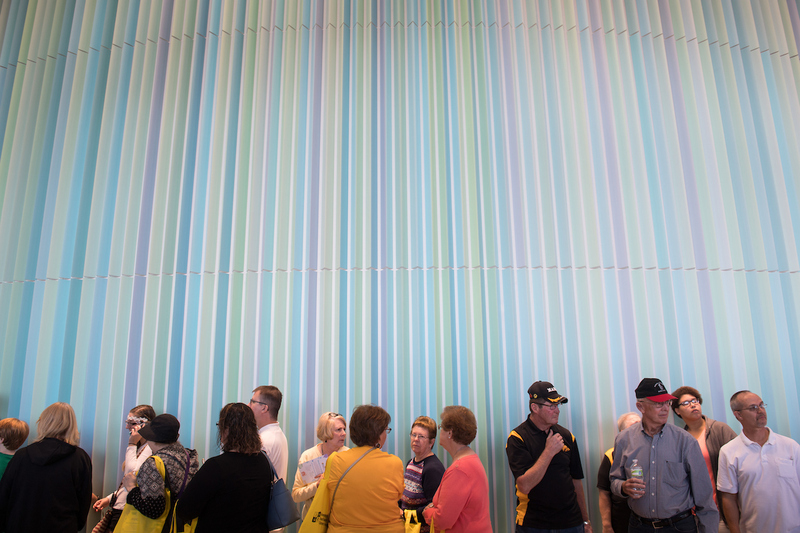 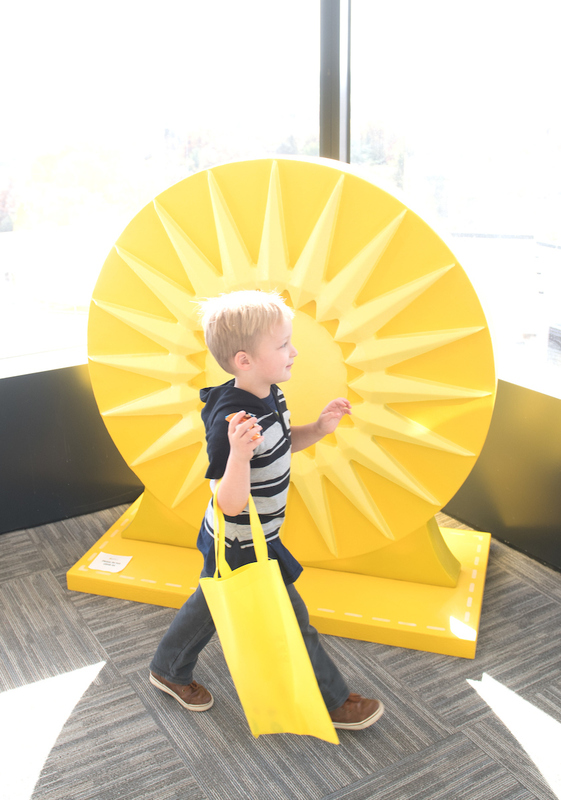 It will also feature a number of child-friendly options, including a playground, gardens, library, interactive theater, and—of course—an unbeatable view of Kinnick Stadium. 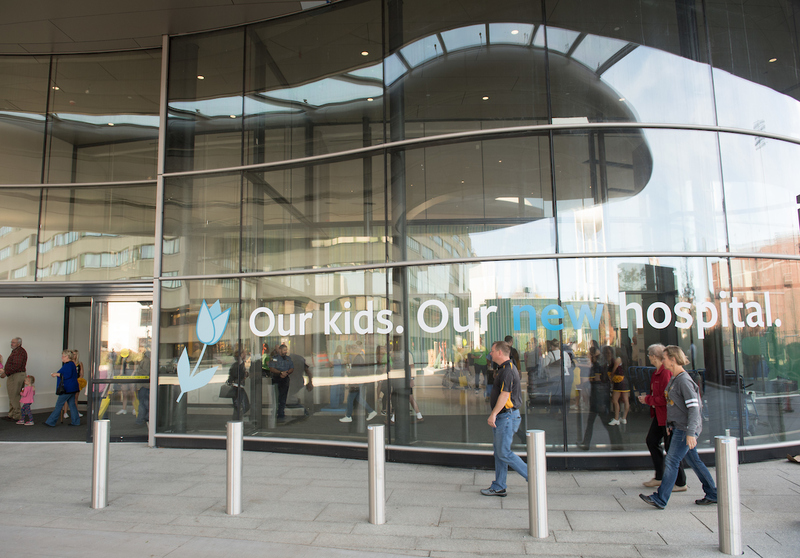 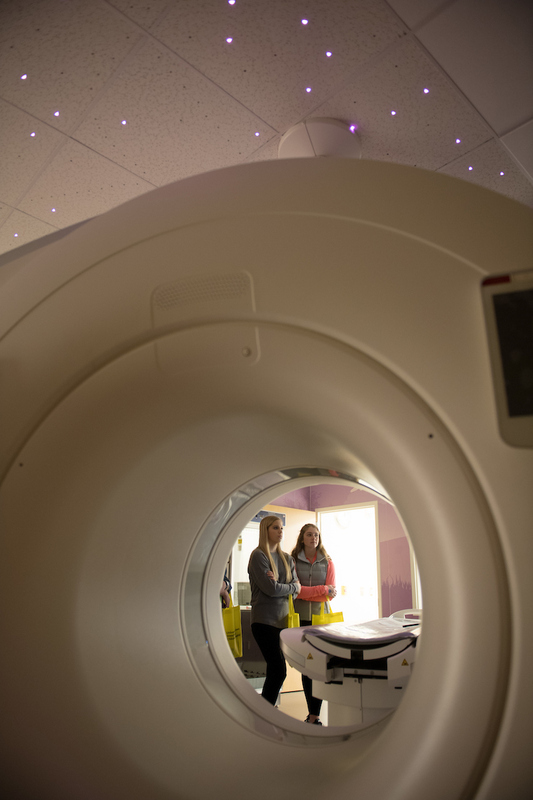 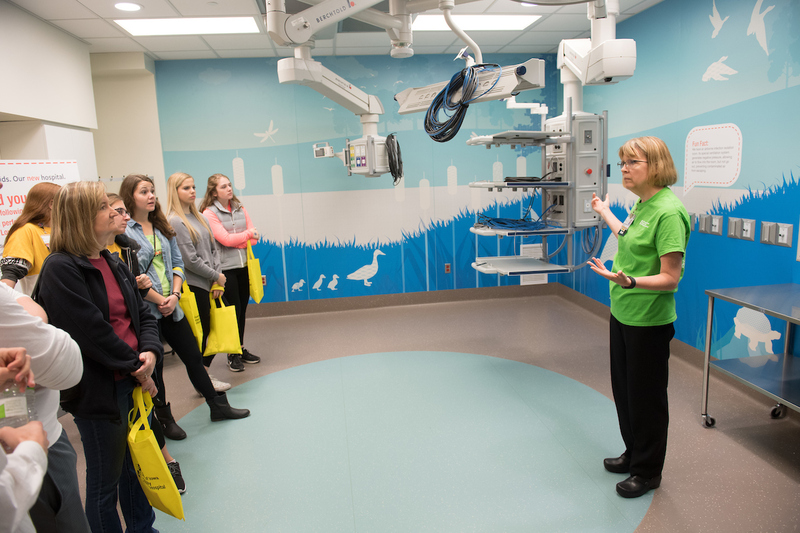 The new hospital consolidates inpatient pediatric care, procedures, imaging, and surgery that previously had been located throughout UI Hospitals and Clinics, which will allow those spaces to be converted to private rooms for adult patients. 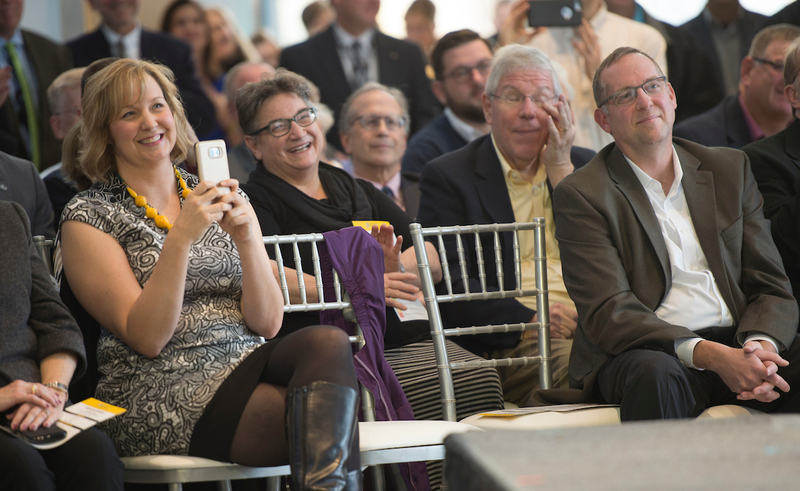 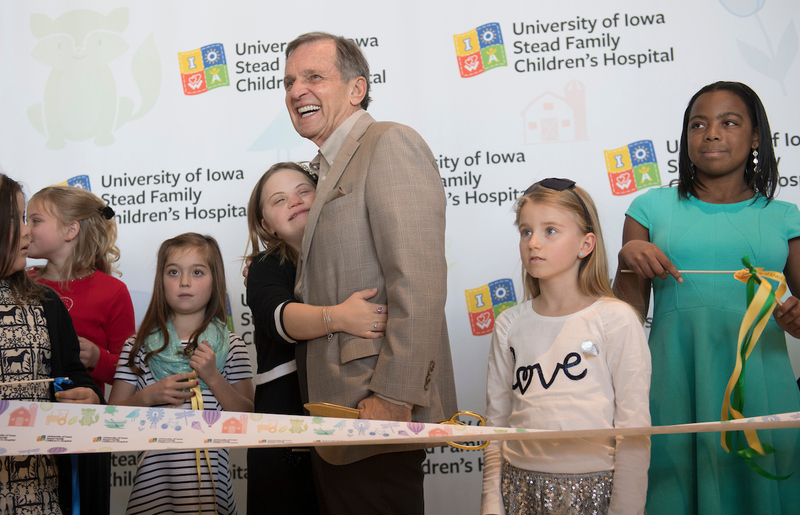 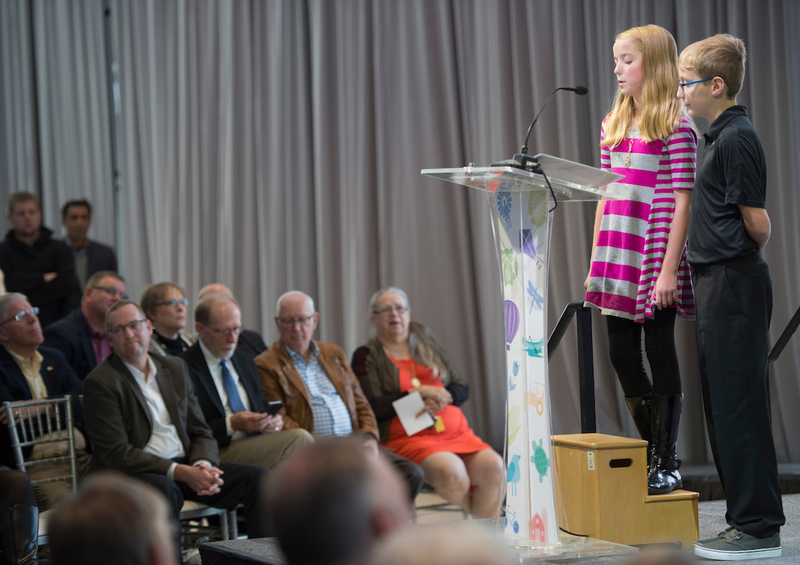 The dedication also marked the official name change of the children’s hospital in honor of Jerre and Mary Joy Stead and their extraordinary commitment to children’s medicine at the UI. 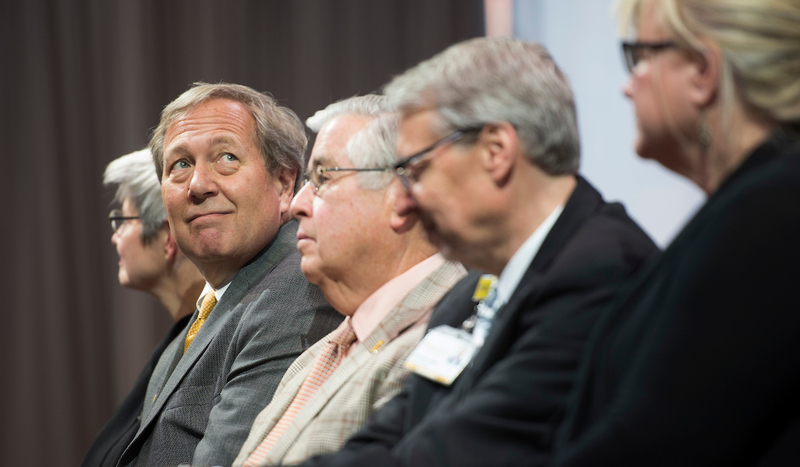 Natives of Maquoketa, Iowa, and residents of Scottsdale, Arizona, the Steads have committed $25 million to children’s medicine at the UI. 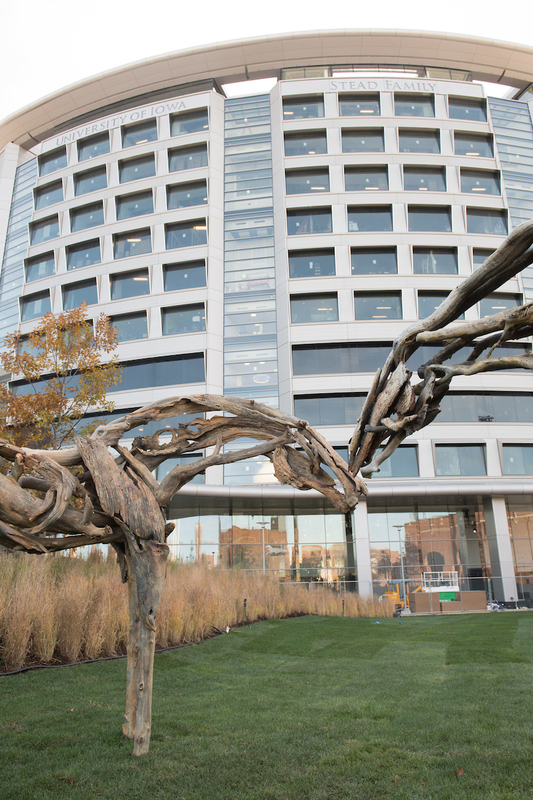 For details about the new children’s hospital, visit uichildrens.org/buildingupdate.